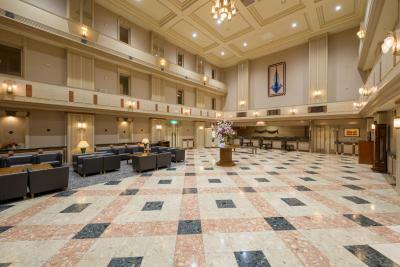 Lock in a great price for Air Terminal Hotel – rated 8.4 by recent guests! Good-sized room. And of course nothing beats the convenience of staying in the airport the night before your flight. Because the hotel is in terminal, it was easier for me because my flight arrive at 11 PM which no bus or JR services anymore, i can directly go to hotel without have to find Taxi. Location was great. Made it easy to be able to catch an early flight the next day. Complimentary breakfast was convenient and nice. Having a spa was a pleasant surprise. Helpful staff and overall so many nice amenities. The location directly in the airport was great. Just 100 m to the airline checkin. 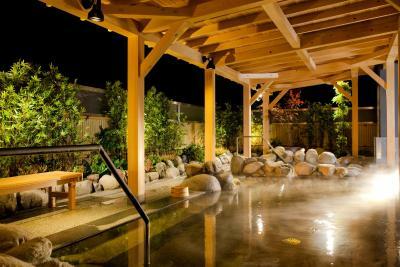 They have free coupons for a visit in the airport hot spring. Hands down this place maybe the cleanest nicest and most convenient hotel on the planet . Nice staff. the breakfast was amazingly generous for the wants and need of the hotel patrons . Bed was comfy, bathroom was as clean and well appointed. I liked the humidifier option. Robe and slippers are great! 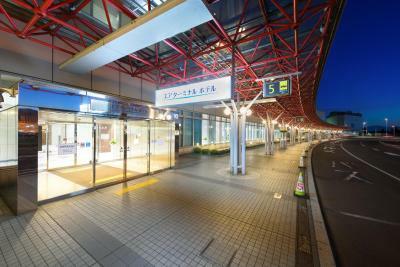 Location is convenient and access to bus and train terminal are close by. Breakfast’s menu is good too. This hotel is so convenient. It is perfect for transit to early morning flights or bus connections. Air Terminal Hotel This rating is a reflection of how the property compares to the industry standard when it comes to price, facilities and services available. It's based on a self-evaluation by the property. Use this rating to help choose your stay! One of our best sellers in Chitose! 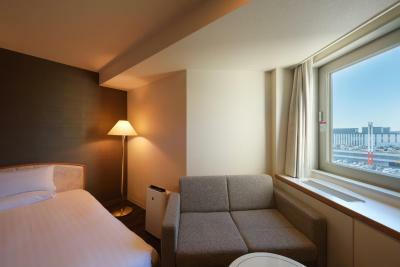 Directly connected from New Chitose Airport terminals via elevators, Air Terminal Hotel offers spacious rooms with free wired internet and an LCD TV with pay programs. A Japanese/Western buffet breakfast is served at the dining room. Free Wi-Fi is offered in the lobby area. 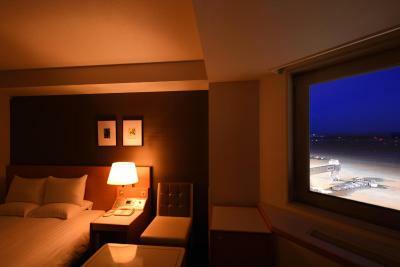 The air-conditioned rooms at Hotel Air Terminal come with an electric kettle, a mini-fridge and an private bathroom. Slippers, green tea and a hairdryer are provided. Sapporo city is about a 40-minute train ride away, and Odori Park and Nakajima-koen Park are both about a 60-minute train trip. Guests arriving before check-in time can leave their luggage at the front desk. Drinks vending machines can be used on site. 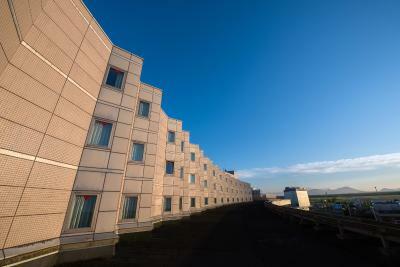 When would you like to stay at Air Terminal Hotel? This room features airport runway views and includes a sofa. The air-conditioned room has an electric kettle, a mini-fridge and a private bathroom. Slippers, green tea and a hairdryer are provided. The air-conditioned room has an electric kettle, a mini-fridge and a private bathroom. Slippers, green tea and a hairdryer are provided. Please note that this room does not include airport runway views. The third bed is a sofa bed. The air-conditioned room has an electric kettle, a mini-fridge and a private bathroom. Slippers, green tea and a hairdryer are provided. 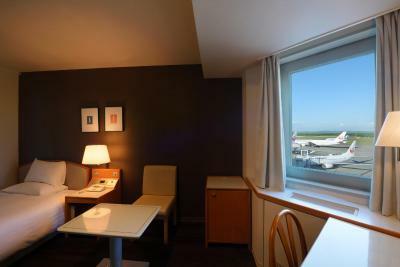 This room features airport runway views. 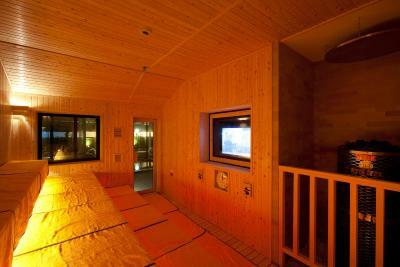 The air-conditioned rooms are equipped with an electric kettle, a mini-fridge and a private bathroom. House Rules Air Terminal Hotel takes special requests – add in the next step! Air Terminal Hotel accepts these cards and reserves the right to temporarily hold an amount prior to arrival. 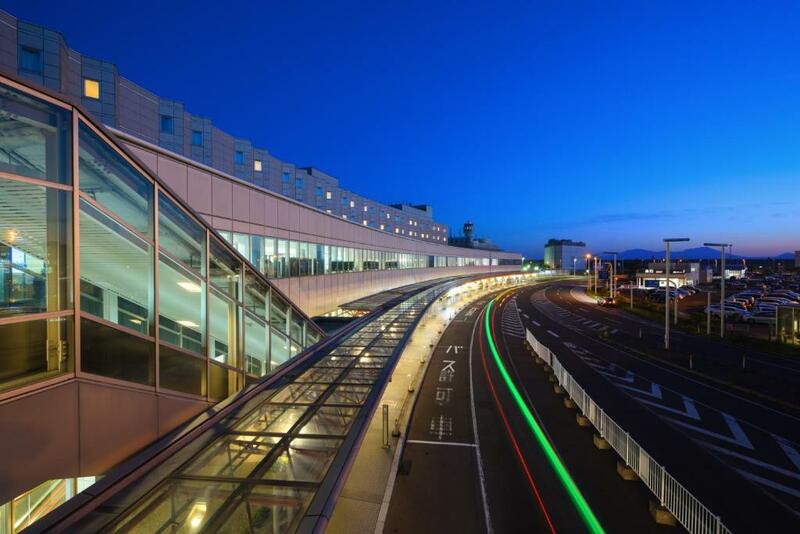 Please note that there will be constriction works during 11:00 to 23:00 in the surrounding airport facilities, starting from 10 Aug 2015. The completion date is undecided. Guests may experience noise and some other minor disturbances during construction hours. 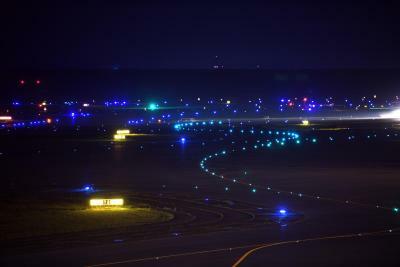 - When you come out from the arrival gate, turn left. Do not go outside the building. - Keep walking for about 3 minutes, and you will see the direct elevator to the hotel. 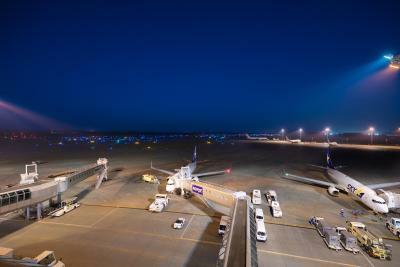 - When you come out from the arrival gate, follow the path leading to the domestic terminal. - Keep walking for about 5 minutes, and you will see an open space. - Turn right and keep walking for about 3 minutes, and you will see an elevator to the hotel lobby. - When you come out from the ticket gate, turn right. - Keep walking till the dead-end, and you will see an escalator on your right. - Go upstairs and you will see a sign for the hotel on your left. - Take the elevator next to the sign to 3rd floor. Please inform Air Terminal Hotel of your expected arrival time in advance. You can use the Special Requests box when booking, or contact the property directly using the contact details in your confirmation. Close to check in counter, walking distance. 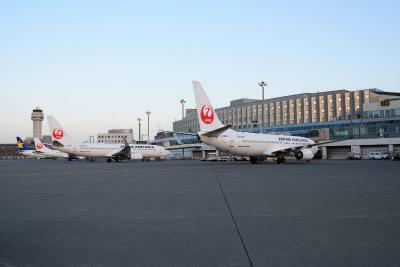 All airport facilities can be reached anytime such as restaurants and shopping stores. Location! Perfect for stop over. Selections of food. Ok if less selections to choose from, just make them with familiarity to all. Great location to your flight ahead. 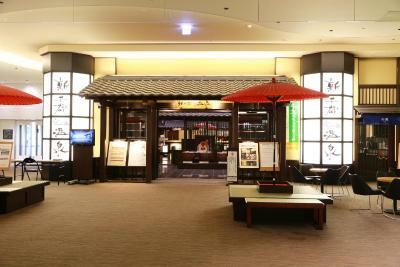 The hotel breakfast is a combination between Japanese and western cuisine. The food is simple yet delicious. 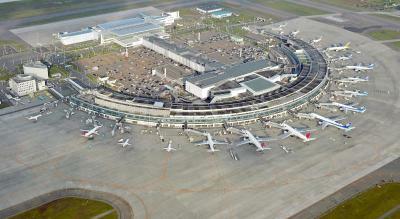 If you woke up late, there are also a variety of restaurants in the airport to choose from. 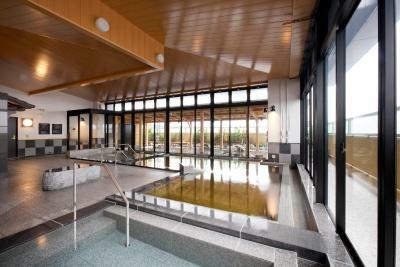 During the stay, you can enjoy the complimentary onsen in the airport which is superb with indoor and outdoor pool to enjoy the snow! The room temperature was too high and there was no way of adjusting it or opening a window or vent. Well appointed room, good bathroom and provided toiletries. 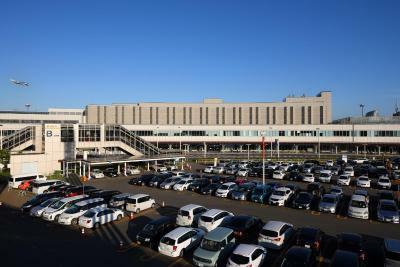 Very easy access from and to airport terminal. It can’t open the window. Very good location, clean, convenient.